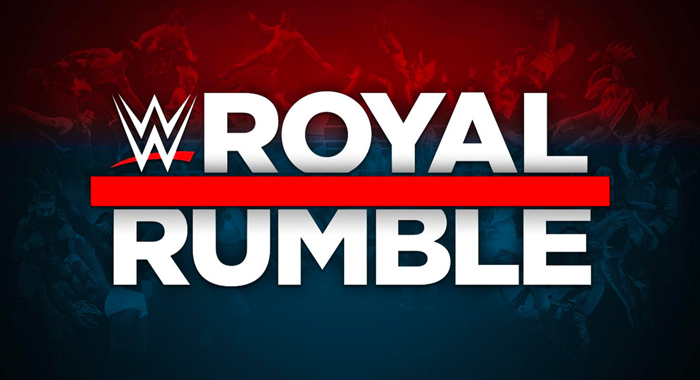 This Sunday night the Superstars of both Monday Night RAW and Smackdown Live will invade the massive Chase Field in Phoenix, AZ for the annual WWE Royal Rumble pay-per-view, officially kicking off the 2019 Road to WrestleMania. Confirmed: Drew McIntyre, Big E, Kofi Kingston, Xavier Woods, Seth Rollins, Jeff Hardy, Dean Ambrose, Intercontinental Champion Bobby Lashley, Samoa Joe, John Cena, Elias, Baron Corbin, Jinder Mahal, Apollo Crews, Andrade, Mustafa Ali, Rey Mysterio, Titus O’Neil, Randy Orton, R-Truth (#30), and more TBD. Confirmed: Ember Moon, Natalya, Bayley, Ruby Riott, Liv Morgan, Sarah Logan, Mandy Rose, Sonya Deville, Alicia Fox, Zelina Vega, Naomi, Mickie James, Billie Kay, Peyton Royce, Charlotte Flair, Tamina Snuka, Dana Brooke, Lana, Nia Jax, Nikki Cross, Alexa Bliss, Lacey Evans, Carmella (#30), and more TBD.